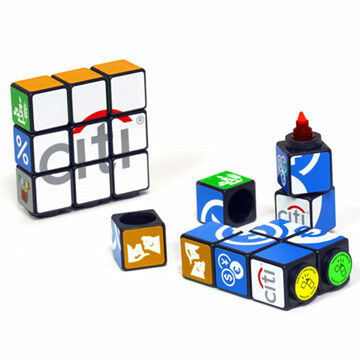 Give your customers three times the fun with the Rubik's Highlighter Set. The three coloured highlighters are each branded with your design and are held together by magnets. The highlighters are easily separated when in use.